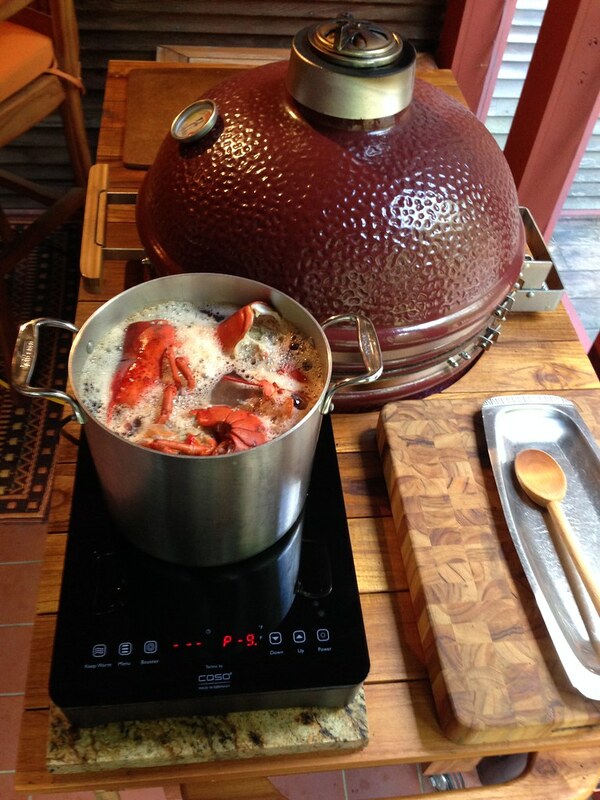 Sometimes we cook down lobster carcasses for 6 hours or so to make lobster sauce, for making risotto. The challenge is that putting the stock pot on the kitchen range stinks up the house over the 6 hour boil down. I solved that challenge by placing an Induction Side Burner on our Saffire Teak Table, out in our screen porch. It worked out great and has lots of other applications as well! Nicely done! Great looking set up. Kudos! Great idea thinking outside the box(kitchen).